Shop from a fantastic array of well-priced "fashions for her" featuring beautiful dresses that can be worn from the beach to dinner. One step ahead of all the latest fashion trends with the top Missy and Junior labels. 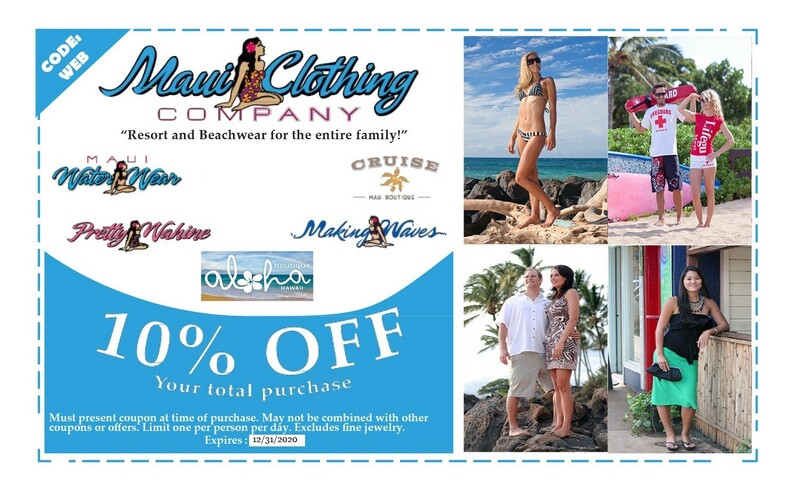 Pretty Wahine offers styles from Elan, Ocean Drive, Pretty Young Thing, En Crème and Modern Touch just to name a few. Have fun accessorizing yourself from head to toe with our incredible selection of unique fashion jewelry, footwear, headwear and handbags!